The Study In Brief About 70 percent of medical decisions are based on the results of laboratory tests (Forsman 1996). If testing amounts to inappropriate over-utilization, it could lead to further unnecessary testing, inaccurate diagnosis and potentially inappropriate treatments that could be accompanied by adverse and unnecessary side-effects. A test may also be inappropriately underutilized – it should be ordered, but isn’t – which leads to delayed diagnosis and treatment and potential worsening of the patient’s condition. The importance of laboratory testing in diagnosis, in addition to its significant cost, makes it a primary target for quality improvement. Reducing inappropriate laboratory testing would have the dual benefits of making the health system as a whole more efficient and improving patient outcomes and experience. 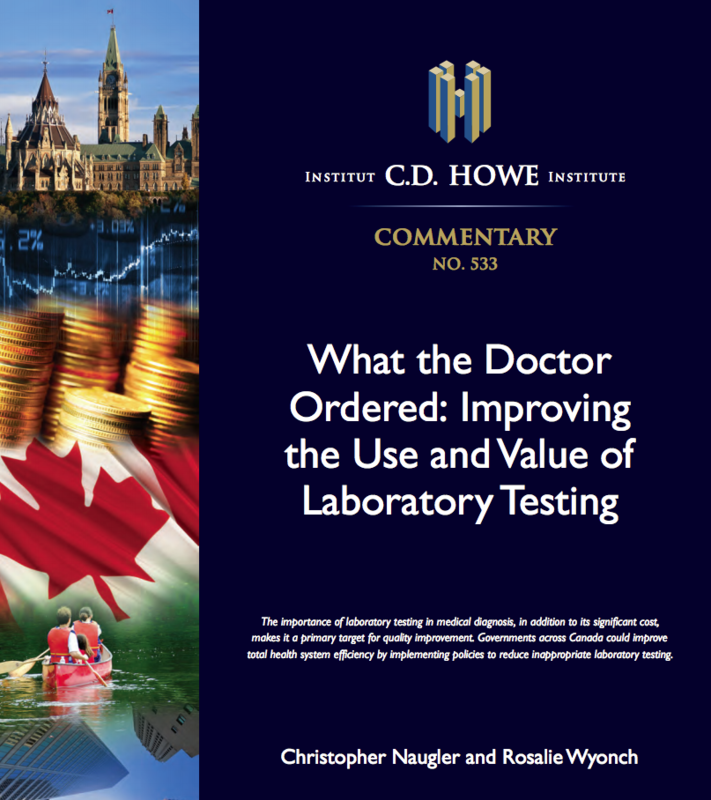 This Commentary investigates the use and cost of laboratory testing in Canada and finds variation across the country. To decrease the amount of unnecessary laboratory testing and the associated downstream medical costs, strategies must balance effectiveness with maintaining doctor and patient autonomy in choosing treatments. We propose a number of options for policymakers to reduce inappropriate laboratory testing: adjusting physician compensation to align incentives with improving appropriateness; utilization management via practice variation and feedback information; reforming requisition orders and care paths to more closely adhere to clinical guidelines; and development of provincial formularies for diagnostic testing. This entry was posted on Thursday, February 14th, 2019 at 2:50 pm and is filed under Longwoods Online, Publisher's Page.